We rent lighting equipment for feature films, commercial shootings and tv shows. We can provide all kind of lighting gear, HMI lights with flicker-free ballast up to 1000 Hz for high speed shooting, ARRI Fresnel and the new ARRI LED, Kino Flo. Which lighting equipment is available for rent ? 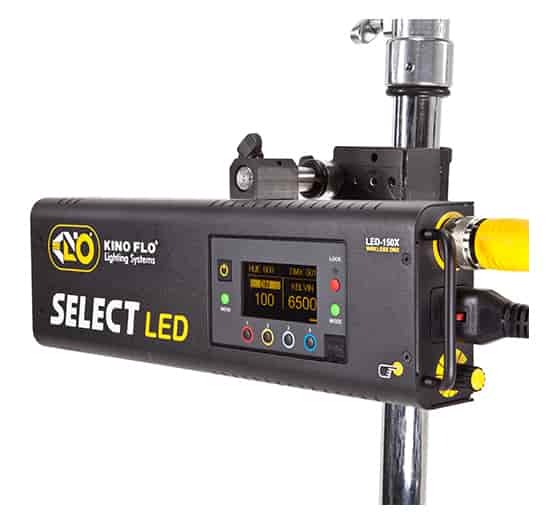 The Kino Flo fluorescent lighting equipment in available in two different colour temperatures, 3200º K and 5600º K. There are many versions. They have 1, 2 or 4 tubes and 0.60m or 1.20m. The Blanket Lite screen is the biggest fluorescence device and the jewel of Kino Flo.It provides a big quantity of soft light. It has sixteen output indicators, 2x2 m size and four Mega Dms 4 Bank ballasts. Best brands spotlights and LED screens. This kind of devices offer a wider range of colour temperatures, the possibility to power it with batteries, change of light intensity from 0 to 100%, magenta and green adjustment, internal gelatins, lighting effects and wireless control. We have availability of Celeb 200 | Celeb 400 DMX or Select 20 | Kino Flo Select 30 DMX with a 2700º to 6500º K range ideal for documentaries or fast shootings. In the new Kino Flo Select 30 Freestyle has removable flags to hang up or to have an ease transportation when using a battery feeder. Skypanes S60-C and S120 with a temperature range up to 10000º K are ideal for soft lighting configurations. They have high performance and the possibility to power it with batteries. Also, they are perfect for studio lighting and they include lighting effects which is a very well option when some Skypanel are connected in line. Daylight, Compact and M Series HMI Arri devices. Arri Max 18/12 Kw, Arri M90, Arri M40, Arri M18, Arri M8, Arri Compact 4/2,5 Kw etc. We also offer other brands HMI devices: Joker Bug 400 and high performance and lightweight Joker bug 800. Furthermore, we offer experienced crew and transportation or on set delivery. Production vans, trucks and genny trucks. Shooting equipped vehicles. We operate in all the nation with base in Madrid, Malaga, Seville and Balearic Islands. Arri Fresnel lights have been, since their very introduction on the market, reliable, versatile and capable of satisfy the needs of most demanding directors of photography. The quality of their light, of their lenses and the color temperature they give is simply second to none. At Camaleon Rental we can provide a wide catalog of these lighting instruments. Check it out! 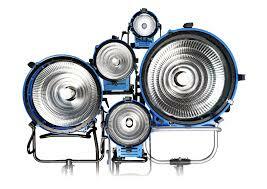 5kw, 2kw, 1w & 650kw Tunsgten ARRI Fresnel Availables. The Dedolight and its unique system was conceived and designed by Director of Photography Dedo Weigert of Munich, Germany. The project was initially meant to fill his own requirement for a powerful yet highly controllable light source which would occupy a minimum amount of space, use a minimum amount of electricity and produce unprecedented light quality. Specially from the appearance of the new large format 35mm and super35mm sensors, which are usually calibrated to kelvin temperatures around 5000 degrees, lighting sources with this color temperature have got more and more popular. The brand K5600 brings us the legendary Joker Bug, available in the 400 and 800 watts version. Those lighting instruments mix perfectly light weight, simple use, versatility and very reasonable power consumption for a smooth and fast shooting. Needs some daylight? Call Camaleon Rental! Arri HMI Par 1.2kw gives a powerful and efficient light. It is perfect for a sun light recreation indoor as it does for equilize outdoor. Zebra and white reflector with an aluminium frame. Fast and easy assembled. The Sunbounce Big has 180 x 245 cm size and 5Kg weight.